Lucy needs a cash advance from Mr. Mooney to buy her daughter Chris a dress for her first formal dance. When she learns that Mr. Mooney is in the hospital with a broken leg, she uses her status as a candy striper to visit his room and get him to sign a check. Naturally, she turns the entire hospital upside down. As a "Hospital Helper," she slips in, tortures Mooney, and is banned from the floor by the head nurse. With Viv's help, she masquerades as a wheelchair-bound patient who leads the staff on a wild chase, and then as a surgeon. Special Notes: A map of the hospital nurses station was included in the script to help everyone navigate through the chase scene. 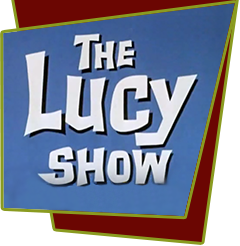 Lucy switches with Audrey Simmons and Viv with Alice Banfield so they can work now as "Hospital Helpers" and corner Mr. Mooney in the hospital.